1 What more do you get? 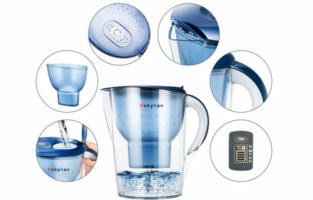 Now, this is where we get into the “big league” as it is time to check out one of the finest and of course most expensive water filter pitchers you will find out there. 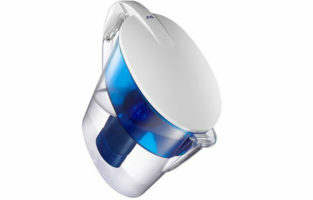 With the Aquagear Water Filter Pitcher, you and your family are pretty much assured you are getting heavenly water. 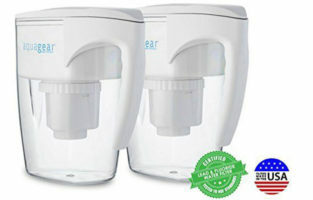 In order for this Aquagear product to meet all the required standards and clear the regulations of the FDA, it has been tested excessively in the northern parts of the USA. Yes, this thing is also 100% the USA made. 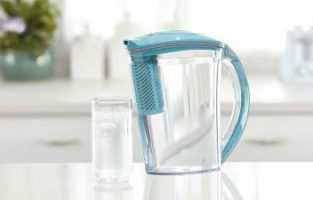 The jug is also completely BPA free although this comes as no surprise given the fact that many cheaper water filter pitchers also do not feature bisphenol A. Here’s the kicker, though, with Aquagear you also get a 100% recyclable product meaning that if you are tired of using it, you can have it recycled. But wait, the filters are also fully recyclable! When it comes to the filter, it truly is an amazing one. 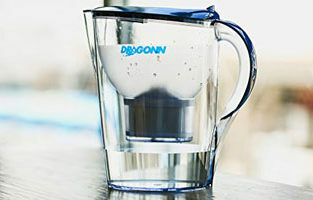 It will last 3 times more than an average filter as it will be able to produce about 150 gallons of clean water. In other words, a typical family which consumes about 20-25 gallons of water a month will be able to use the same filter for half a year. The way the filter functions, however, is the most impressive part. There are basically 5 layers of filtration. 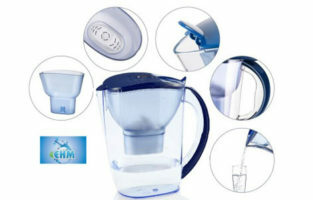 Throughout this process, 99.9% of all contaminants and heavy metals are removed from your water. 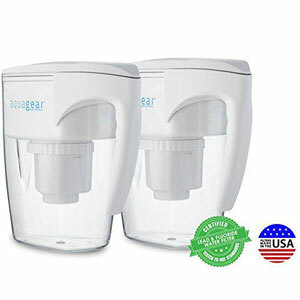 At the same time, the Aquagear filters will keep substances such as magnesium and calcium in the water making it healthy and perfectly clean. For starters, the design indeed is very sharp. 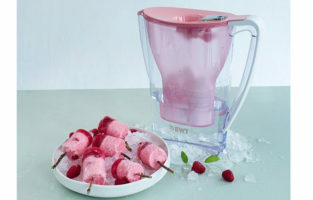 The handle never meets the back of the pitcher and just hands there. 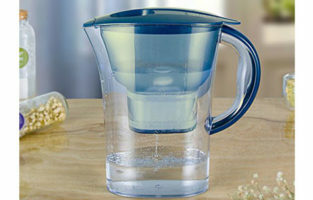 This is rather convenient for people with larger hands will not struggle to hold the jug. There is also some plastic grip for maximum convenience. 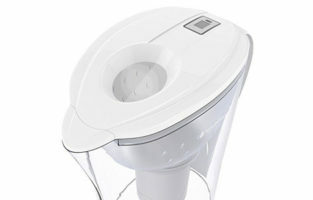 On top of the lid, you will find a hole, making refilling as effortless as ever. 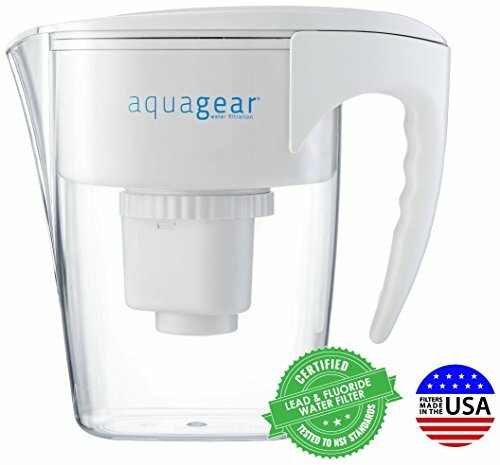 One of the coolest things that you get for this kind of money with the Aquagear Water Filter Pitcher is the lifetime guarantee. If this thing breaks, you can instantly get a refund, no questions asked. The filter will likely slow down with extensive use. Yes, it will still be able to clean about 150 gallons of water before it stops working but only after a few weeks, its rate goes down tremendously. 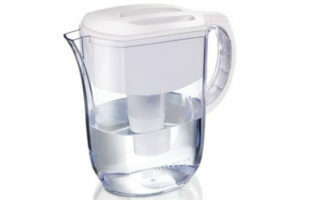 While it sounds impossible for a water pitcher of that caliber, the actual time it might take for 33 oz. 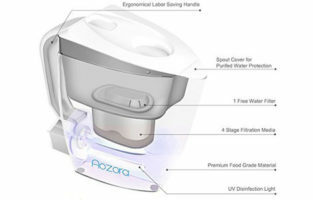 of water to get filtered might reach 2 hours. Once your filter starts clogging you can’t just rinse it off. 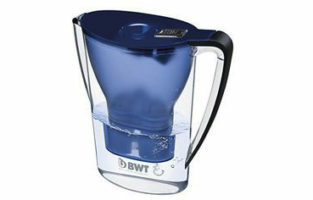 You have 3 options: the first one would be to stay patient and go watch a movie as your water is getting filtered. The second one is to buy a new filter but who wants to spend that much money every 2 weeks? And lastly, take advantage of that lifetime guarantee of Aquagear’s. They are aware of this issue and will keep supplying you with filters so this is possibly your best shot at not destroying your nerves or the jug as you wait for your water to be ready for drinking. Lastly, you might find the pitcher to be rather heavy. 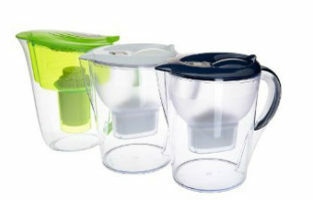 Yes, it is made out of plastic but the whole filtration system and its functions make the product not light at all. 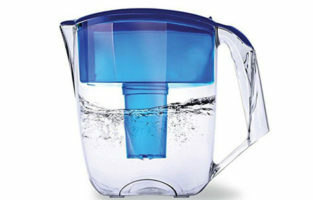 Once you fill it up with water it will be even more challenging to move it from one place to another. 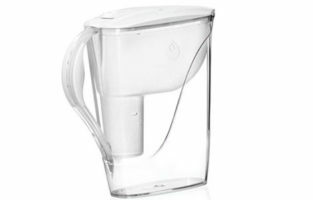 Possibly the deepest filtration you will witness in a water filter pitcher – you will drink almost a 100% clean and tasty water.